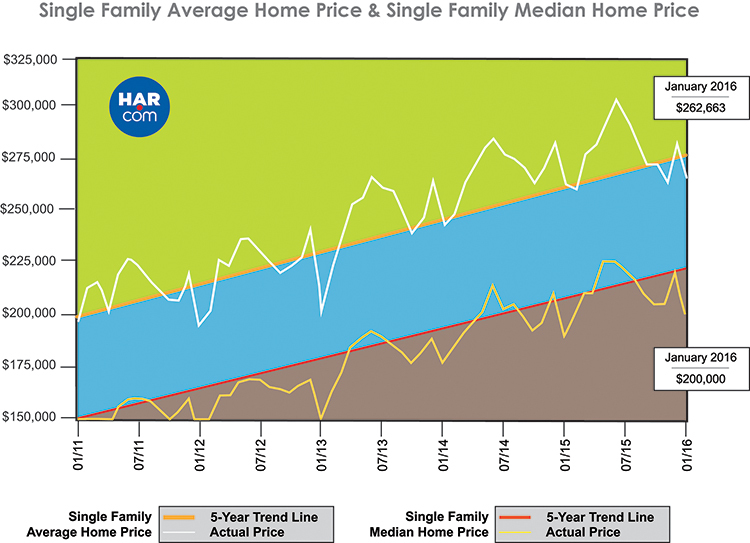 "A lot of folks have nervously anticipated that falling oil prices would have a devastating effect on real estate, but so far, the Houston market has weathered the energy downturn without dramatic shifts in sales and pricing,” said HAR Chairman Mario Arriaga with First Group. 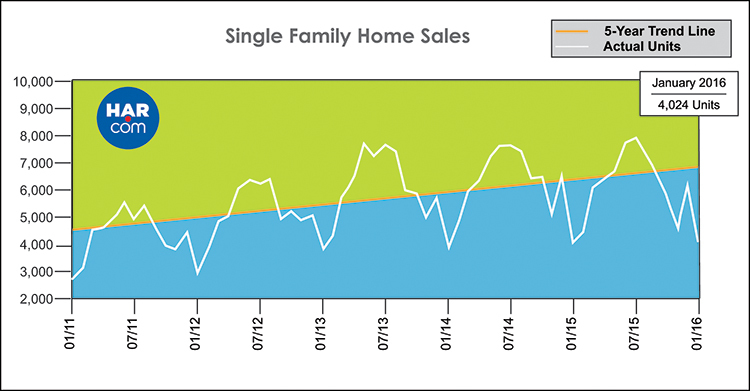 “The most noticeable impact has been declines in the luxury market, but mid-range housing actually saw a healthy sales volume in January and inventory levels grew. HAR will continue to closely monitor the economic climate." Houston's housing inventory has held above a 3.1-months supply since May 2015, climbing to a 3.5-months supply last summer and settling at a 3.3-months supply in January. That compares to a 2.5-months supply in January 2015. For perspective, the national supply of homes reported by the National Association of Realtors (NAR) currently stands at 3.9 months.